Vegan Meal Planning is a family project. 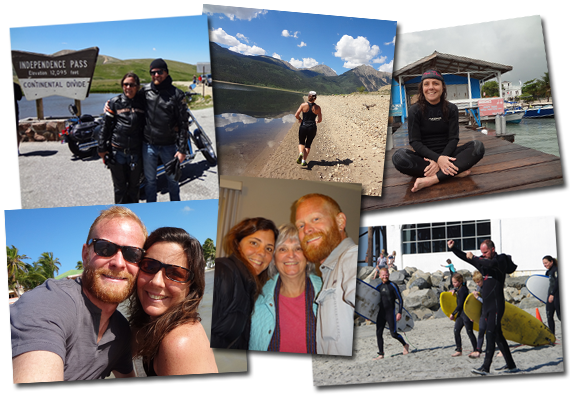 We, Karen and Jeff Wiens, are parents, natural/barefoot runners, Harley riders, snowboarders, SCUBA divers, horseback riders, burgeoning surfers, travelers and explorers. Over the last 20 years, we’ve primarily made our livings working in the web industry while residing in Colorado near the ski areas, against rural landscapes, and most recently the ‘burbs of Denver Metro. Additionally, we ran a horse-boarding facility in Lakewood, Karen was a certified personal trainer and Jeff worked construction. We now live with our two kids, Cooper and Stella in Littleton. Jeff’s oldest son Holden lives nearby in the mountains of Colorado. We’re all avid readers and push ourselves to do more, understand more, and live intentional lives. We mention who we are and what we do to illustrate the fact that making the choice to move to a plant-based, more whole foods meal plan is not tied to any one way of life or any one way of being. The choice either makes sense to you or it doesn’t. If you wish to educate yourself, you can. We are vegans, but that label isn’t important to us. The concept for this site is simple – to help make eating plant-based foods easier for other families and individuals. We began working in earnest toward this goal at the end of last year (2012), got our “go-to” and new recipes organized, started photographing all our meals, set up the website, created our social networking accounts, etc. We started tracking what we ate at mealtimes and what we consistently stocked in our pantry and refrigerator. We generated shopping lists. We took note of what appliances make certain jobs in the kitchen easier. We continued reading and learning about nutrition and global food issues. As we gain more knowledge and fine-tune our processes, we’ll share that information. The site will continue to evolve, as will we. If you want help on your vegan journey, we hope you’ll find it here. If you want to dabble in meat-free meals, you’ll find the recipes here. If you want to build community and find solidarity, reach out – we’d love to hear from you.